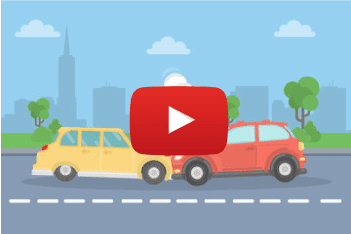 Car Wreckers Brisbane > Car Recycling > How Are Cars Recycled? Did you know that almost all parts of the vehicles are recyclable? From the oil filters to windshields to batteries and more. Windshields – For preparing windshields, usually a glass is put between two sheets of plastic. Therefore, earlier it was difficult to recycle the glass. But now with advanced technology windshields are recycled and are used to manufacture fibreglass insulation, glass bottles, and concrete blocks, whereas the plastic, is reused for carpet glue and other applications. Engines and transmissions can also be recycled to repair a damaged part or to make an eco-friendly engine and transmissions. After melting the Aluminium car rims, door handles and other scrap metals, it can be used to manufacture new products. Plastic from the car can also be recycled to make new products. 2) How are autos recycled? Detailed inspection – repair and sell or dismantle and recycle? When the car reached the wrecking yard, a thorough examination is carried out to understand what would be a more profitable option – repair and sell or dismantle and recycle. Draining fluids and dismantling valuable parts – Before disbanding, different vehicle fluids such as oil, gas, antifreeze, transmission and brake lubricants and fluids. Dismantlers separate the hazardous liquids and gather them for safe disposal. They filter the reusable liquids like gas and oil. Later on, the car engine and transmission are lifted from the car chassis, to check on the other parts. If parts are in usable condition, then they are removed and cleaned. Selling recovered auto parts – From the salvaged auto parts some parts are reusable instantly whereas some parts might need repairing and refurbishing. Many car wrecking companies have their own resell division for such components or they may also sell it local auto repair shops. Crushing and shredding vehicles – After removing all the reusable parts, draining the liquids, the only thing that remains is the body of the car. As you know, the vehicle body is made up of various metals. Therefore, before recycling the metal, the body is crushed and shredded into ball size metal chunk. These chunks are suitable for making new products. Thus, you see, every part of the vehicle can be reused and recycled. So, don’t think twice and call authorised Brisbane car wreckers to sell old cars for cash. From the above read, you can understand how necessary it is to recycle the unwanted vehicles to minimise the harmful impact of useless cars on the environment. Call QLD car wreckers. 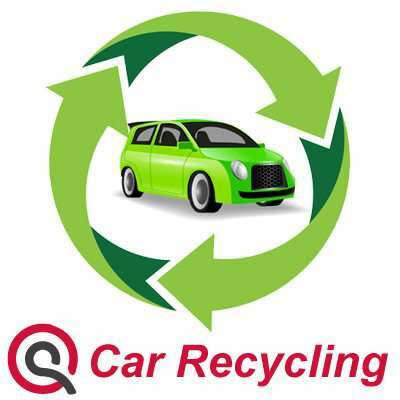 We are famous for Car Recycling Brisbane. We are Car Wreckers Brisbane for almost two decades now. We buy cars for cash. American, European, and Japanese vehicle makes are the latest craze in the Australian market, and therefore, we buy all of these cars makes at a reasonable price. Similarly, vehicles models like UTEs and SUVs are top-rated, and we pay the highest cash for these models. However, we also buy other common models like vans, trucks, buses and other models running on the Australian road. Since we had our wing of auto recycling and used auto parts sale division, we are not averse to buying a dead car. We pay top cash for junk cars. So if you own a car that is useless and worthless to you, give us a call, and we will pay you handsome cash. We spend money even for the damaged, accidental, old, and unwanted car under our cash for damaged cars, cash for unwanted cars, cash for accidental vehicles, and cash for junk cars offers. Resources and skills to offer 24/7 support including same day car removal, instant quote, on the spot payments to name a few. Machines to handle all types of car removal no matter the shape or the size. So, for beneficial Cash For Cars Brisbane offers come to us. We get all sorts of question such as I want to Sell My Car Brisbane, can we contact you? Or I want to Sell My Car for Cash, how to proceed? The answer to the above questions is you can contact us to sell your cars for cash, or junk cars for money, or scrap cars for cash with us. On the other hand, you can also follow our natural four-step process to get fast cash for cars. Do you want cash for used cars? Contact us. We are renowned Car Removals Brisbane. We have the license, authorisation and the resources to legally buy vehicles that are no longer wanted and dispose them of in an eco-friendly manner. The condition of the car is not a hindrance since our staffs are well trained to remove vehicles in any situation from your premises without damaging the property.